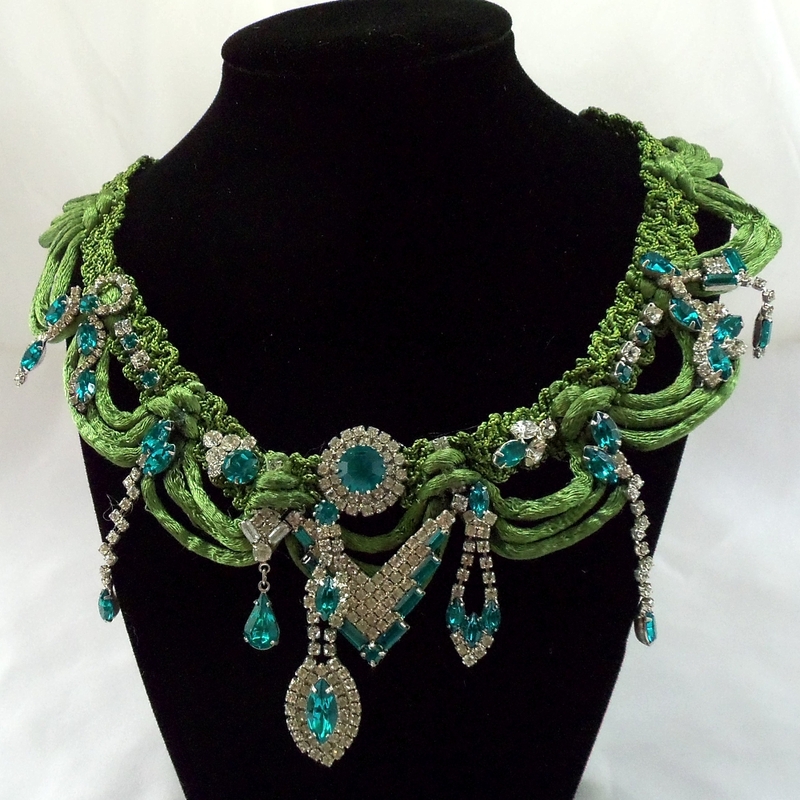 Gorgeous aqua and ice rhinestones adorn a stunning emerald green silk ribbon. Eye Catching Fabulous. It measures 3 inches long down the center, the ribbon is 1.50 inches thick and 18 inches long.